The systemic failure to hold white police officers accountable for racist killings and the Black Lives Matter movement sparked a demonstration on December 6, 2014. 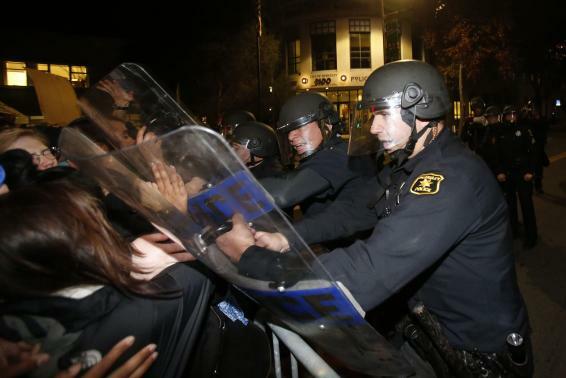 The march began peacefully on the UC Berkeley campus, but when it reached the city police station, the police blocked the marchers’ path and began using their wooden batons indiscriminately against both protesters and journalists. Read the full article. SF tenants win fight for moratorium on condo conversions!